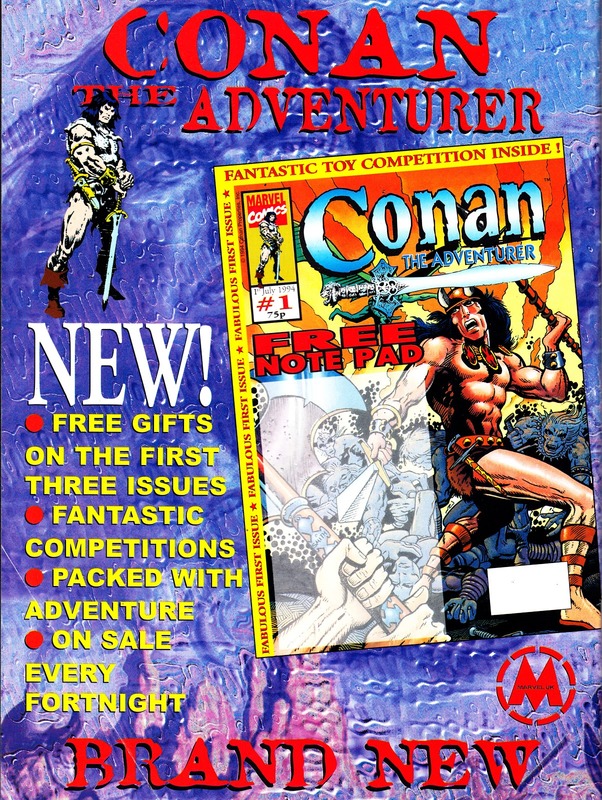 I covered issues 2 and 3 of CONAN THE ADVENTURER a few posts back but I don't have a copy of issue 1 (yet). However, over the weekend I found this Marvel UK house ad (from July 1994) for the first issue which prominently features the cover of the first issue. If the artwork looks familiar... it should do! Marvel UK had already used it for the covers of THE SAVAGE SWORD OF CONAN weekly issue 1 (1975) and CONAN THE BARBARIAN POCKET BOOK issue 1 (1980). The classic Barry Windsor-Smith art first graced the cover of US CONAN THE BARBARIAN issue 1 back in October 1970.